In what may be the first of at least three announcements this week, Pearl Jam has added a second Worcester (Boston) show on October 16th. Due to overwhelming demand, Pearl Jam has announced a second date at the DCU Center in Worcester, MA on Wednesday, October 16. Tickets for the newly added date are will go on sale to the general public beginning Saturday, August 10 at 10:00 am and are available at LiveNation.com, by calling (800) 745 – 3000, or at the DCU Center Box Office. Only those Ten Club members who entered the drawing for the 10/15 show and lost will be eligible for Ten Club tickets for this show. 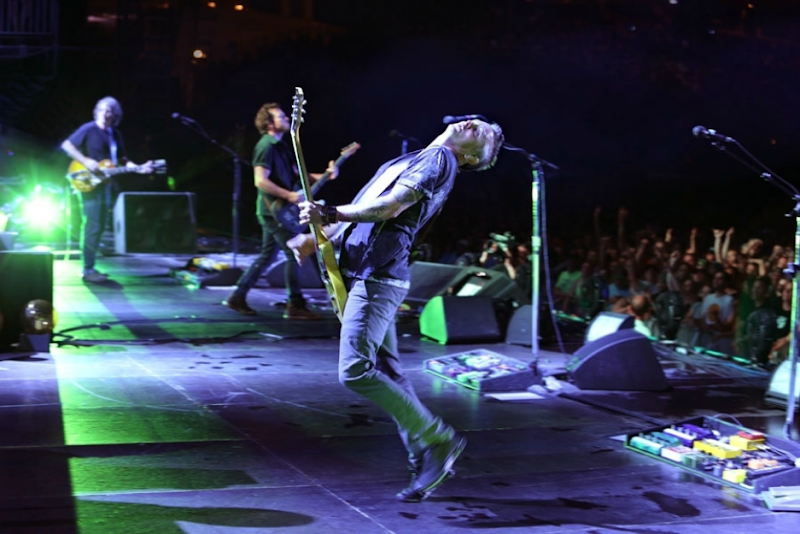 Check the "My Account" section at PearlJam.com for details. A Ten Club ticket drawing will be held for members who entered the drawing for the Oct 15th Worcester show, but were not selected for tickets. Members that fall into this category must be active as of yesterday July 29th, for a chance to purchase pre-sale tickets to this show.For your convenience you have 1 full week from today to enter before names are drawn. This drawing entry period opens today, July 30th and closes Tuesday August 6th at 10am PT. Names will not be drawn until Tuesday August 6th . Hopefully, you'll soon hear about a second Seattle show and a headlining gig for Big Day Out next summer in Australia, but neither of those are confirmed. It's Official! Big Day Out!